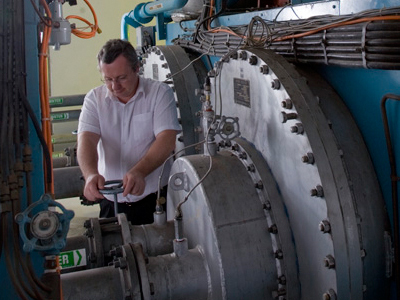 DST Group's Combustion Test Facility is at the core of the Thermal Test Precinct in Melbourne. It provides high pressure and enthalpy air to combustors and turbomachinery equivalent to the throughput of 1/8th of an F-111 engine. The internal test cell is used to examine turbomachinery performance and gas turbine engine combustion to better understand operational performance limits, engine life effects and the suitability of alternative fuel types. The external test cell is used to test and evaluate aircraft infrared suppression systems and high-speed engines in conditions corresponding to high speed flight.